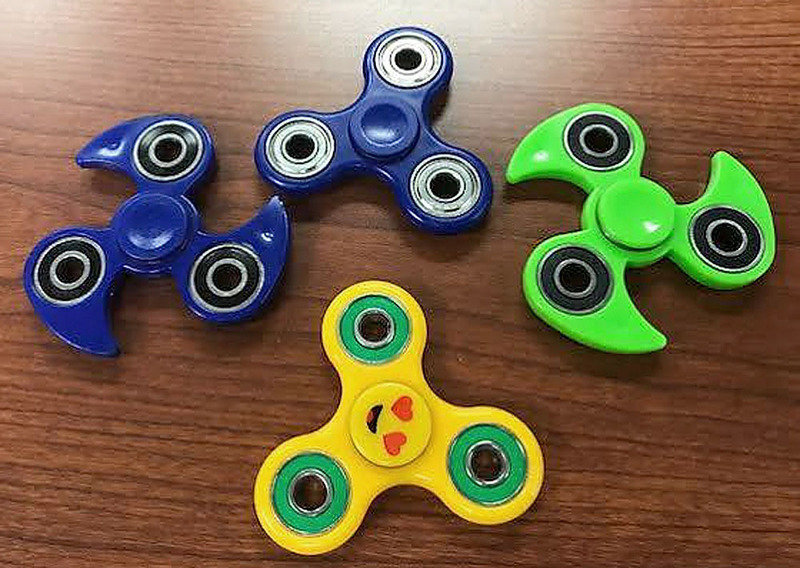 ASHWAUBENON – Small, hand-held toys known as fidget spinners are the latest trend to hit classrooms, but one area school district has had enough. The small, hand-held toys with simple moving parts are thought to help students focus on their schoolwork. But Valley View Elementary School in Ashwaubenon is asking parents to keep them at home, at least this specific type of fidget. Fidgets have been around for some time, and come in a wide variety of shapes and sizes. According to a 2015 article in the New York Times blog, “Well” fidgeting can help those with A.D.H.D. and have been growing in popularity. Others have found them helpful for students on the autism spectrum. Some parents who commented on the Valley View post agreed. “I think fidgets are a great tool. My daughter benefits from keeping her hands busy. Unfortunately some fidgets can lead to distraction, and this is one of them. (At least for my daughter, and some of her classmates. ),” one commenter wrote. “The only thing my students seem to focus on, however, is the spinner, itself, and not their work. It’s like a friggin’ siren song,” she wrote. “The allure of someone else’s spinner spinning is too much to bear. What color is it? What type is it? What shape is it? What’s it made of? How many arms does it have? Are there removable ball bearings in it? What are THOSE made out of?